The first-time limited war was discussed in Indian strategic circles was after the Kargil war in 1999. The Kargil conflict, which took place only one year after the overt nuclearization of the two countries in 1998, falsifies the assumption that with the introduction of nuclear weapons in South Asia war is no more an option between India and Pakistan. The conflict clearly indicated that despite nuclearization, both can still have armed conflict. Although many Indian strategic thinkers would like to believe that they are aware of Pakistani redlines, the fact remains that they are not. This view provided the Indian defence establishment a justification to keep a large conventional force, and also signalled to Islamabad that India can still use force against it if required to achieve its policy objectives. The cold start doctrine of the Indian military: Too cold to start or a real concern? The Indian strategic and defence community realised the flaws in the military doctrine the Indian army was following and concluded that it was no longer useful. Therefore, in April 2004 the Indian army created the idea of a “cold start” doctrine. The aim of this limited-war doctrine was to initiate a conventional strike against Pakistan that would cause significant harm to the Pakistan army before the international community could intervene to resolve the dispute. The advocates of this doctrine point out several advantages: because of the smaller size of the battle groups, speed and mobilisation will increase. At the same time, the duration and the cost of mobilisation and logistic requirements will decrease. It is also assumed that the cold start doctrine will keep the war well under the nuclear threshold of Pakistan; hence Pakistan will not have the justification to use nuclear weapons. According to proponents of the doctrine, Pakistan, when faced by eight thrusts into its territory instead of three, would be hard pressed for options as to where to concentrate its response and is likely to commit mistakes. This will also create problems for its intelligence organisations. In case as a desperate measure, Pakistan decides to use nuclear weapons against the invading forces, the marching Indian divisions will provide Pakistan with much smaller targets than corps. India’s cold start doctrine is offensive in nature. Preemptive attack is one of the important elements of this policy. 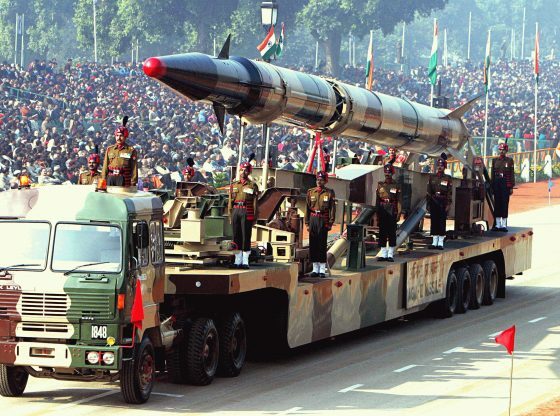 To counter any Indian preemptive attack, Pakistan may have to retaliate with nuclear weapons. The offensive posture and rapid deployment strategy leaves little time for intervening and mediating and increases the chances of the conventional war turning into a nuclear war. Its military badly harmed and some of its territory captured in the swift multi -pronged strike, it is assumed Pakistan would opt for first use but on its own territory to dislodge the enemy. Contemplation of such a possibility makes the doctrine dangerous for the stability of South Asia. Can India be sure of the fact that it can undertake a limited conventional operation against Pakistan without crossing Pakistan’s nuclear redlines? Although many Indian strategic thinkers would like to believe that they are aware of Pakistani redlines, the fact remains that they are not. The most important question that needs to be asked is what objectives will be set for any strikes under the “cold start doctrine” on Pakistan? And in which geographic area? As Pakistan lacks strategic depth, any strike is likely to threaten Pakistan and prompt it to respond in a way the Indian planners might not be able to contemplate. The cold start war doctrine is a risky proposition because the Indian army, which increasingly regards its political leadership to be spineless, could initiate such a situation to prove their point. One has already witnessed this tendency during the 2002 stand-off. Although New Delhi failed to operationalize this doctrine post Mumbai attack crisis, Islamabad considers this a real possibility and a serious threat and has revised its strategy and included tactical nuclear weapons to counter it. In sum, the vast set of literature on deterrence informs us that its main purpose is to avoid a major war. If so is the case than nuclear deterrence can be taken as working between India and Pakistan. The first twenty years of nuclear South Asia is a testament to this fact. In twenty years, Pakistan has made steady progress in the nuclear field. Apart from what has been highlighted above, Islamabad has also acquired ballistic and cruise missiles as well as developed tactical or low yield battlefield nuclear weapons. The recent test of Babur-III submarine launched cruise missiles is a testament to its second-strike capability. 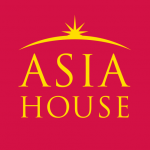 The geostrategic trends in the Asia-Pacific in general and in South Asia in particular are changing. New Delhi getting closer to Washington, further solidification of Sino-Pakistan relations, Indian leadership’s confidence that they can engage Pakistan below its nuclear threshold, and Islamabad’s confidence that it can deter the Indian threat through its full spectrum deterrence capability makes the emerging scenario in the region uncertain and complicated to say the least. Rizwan Zeb, Ph.D., is Research Fellow, South Asia Study Group (SASG), University of Sydney and associate professor, Iqra University, Islamabad, Pakistan. He is also associate editor of the Journal of Asian Security and International Affairs (Sage). He specializes in South Asian Security Affairs and has researched and published extensively on Pakistan’s nuclear doctrine, security and learning. A few of his publications on the subject (and used for preparing this article) include Pakistan’s Nuclear Weapons: How Safe is Safe Enough? Transparency versus Opacity, Defence and Security Analysis, Volume 30, Issue 3, 2014; Pakistan’s Nukes: How Safe is Safe Enough? Swords and Ploughshares, Vol XVIII / No. 1 / Fall 2010, Program in Arms Control, Disarmament and International Security (ACDIS), University of Illinois; Deterrence Stability, Nuclear Redlines and India-Pakistan conventional Imbalance, Spot Light on Regional Affairs, Vol. XXVIII, No. 4, 5, April-May 2009; David versus Goliath? Pakistan’s Nuclear Doctrine: Motivations, Principles and Future, Defense and Security Analysis, Vol. 22, No. 4, pp. 387–408, December 2006. He tweets at @SRizwanZeb. Image Credit: CC Wikimedia Commons.